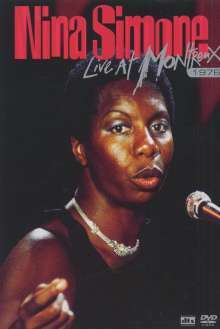 Der Artikel Nina Simone (1933-2003): Live At Montreux 1976 wurde in den Warenkorb gelegt. Nina Simone one of the great female vocalists of the 20th Century, made four appearances at the Montreux Festival between 1968 and 1990. This DVD features the whole of the performance from 1976 as the main item, which is supplemented as bonus features by two tracks from her concert in 1987 and four from her final show in 1990. 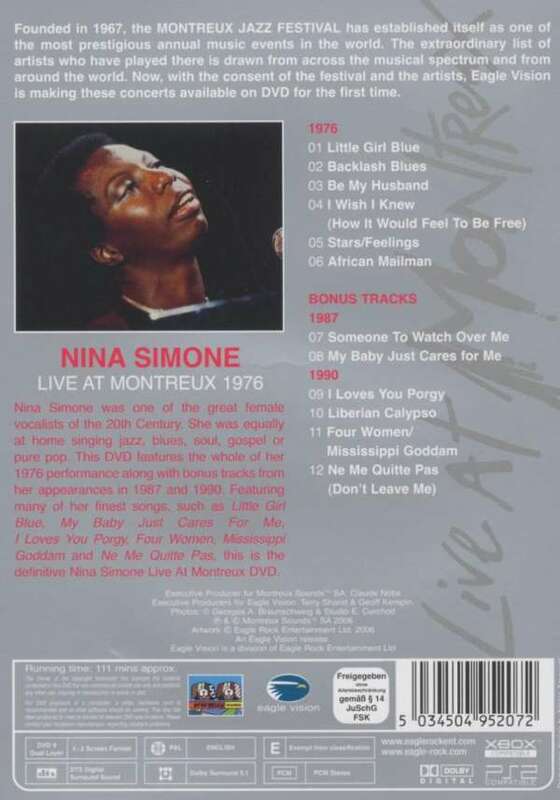 This is the definitive Nina Simone live DVD.